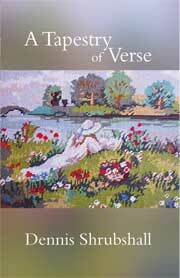 A Tapestry of Verse is a varied and wide-ranging collection of poems rhymes and odes which explore life's rich tapestry. "Essex Bard" Dennis Shrubshall draws on his personal memories, his time as a National Serviceman, his friendships and his musings on comedy and romance. 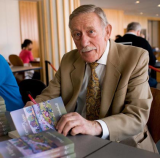 The publication of A Tapestry of Verse was initiated after one of Dennis's poems was included in Voices of the Poppies – An Anthology from Forces Poetry (published by SilverWood Books in 2008). Dennis is a member of FLOW for All – a not-for-profit organisation which has Dame Vera Lynn as its Patron. Proceeds from the sales of A Tapestry of Verse will be divided between the following Forces-related charities: Combat Stress, BLESMA and The National Gulf Veterans and Families Association.